Sorry it has been awhile since the last post, I have been busy with real life and with sorting out podcasting stuff. 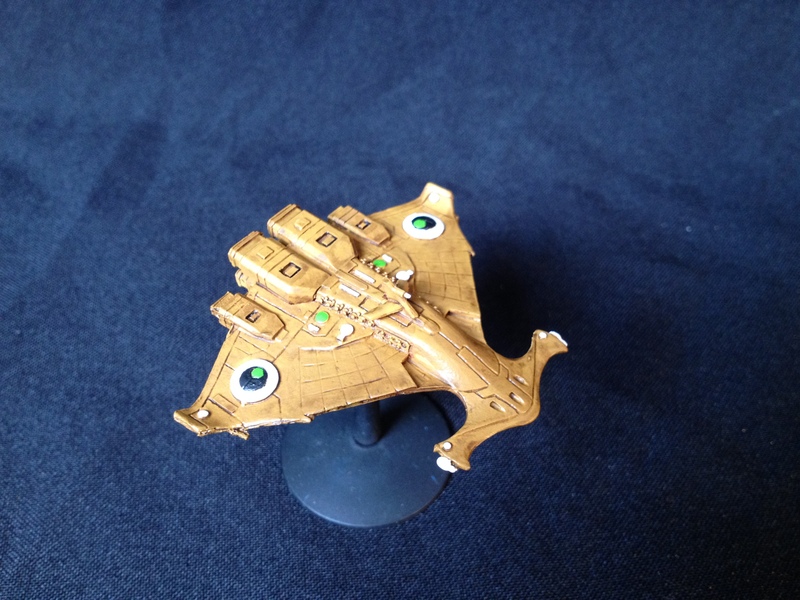 I return with the second Tau cruiser that forms part of the mostly Demiurge fleet I am currently painting, this time an Emissary Class vessel. 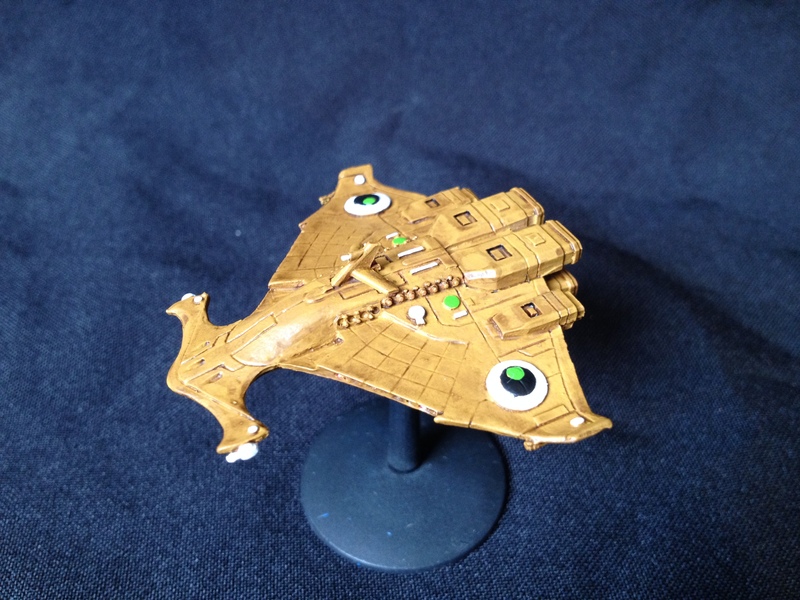 This is the only Forgeworld Tau ship I won or, given the current market price, am ever likely to own. The Emissary is another rather odd ship, like the Merchant featured in the last post. “Unlike the other hull designs resulting from the Kor‟or‟vesh initiative, the Il‟Porrui “Emissary” cruiser is primarily intended as a diplomatic vessel. 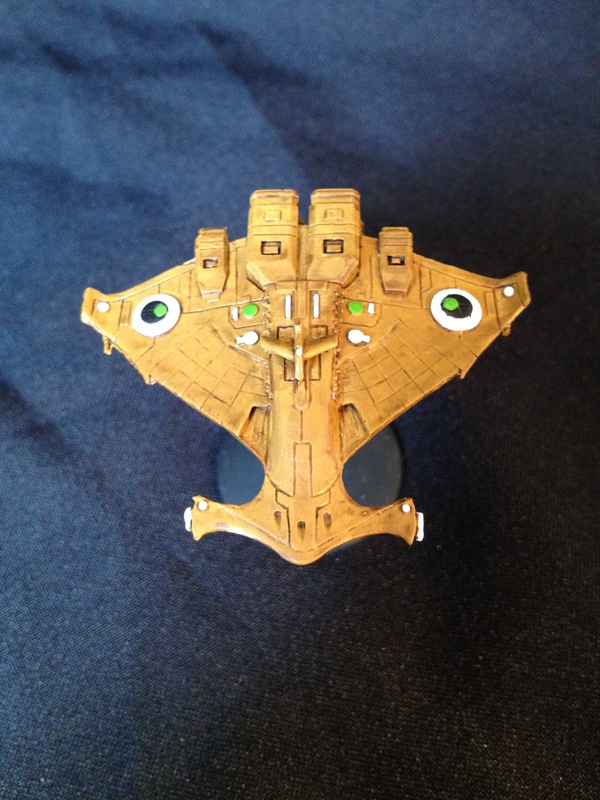 This provides it the necessary mix of firepower and maneuverability to make it a suitable conveyance to transport Por Caste dignitaries, Tau commanders and Ethereals in relative safety. By design, it is also capable of seeing off all but the most powerful adversaries of a similar class it may encounter”. The paint scheme is again very simple, although in these pictures the wash looks alot patchier than it does in real life. 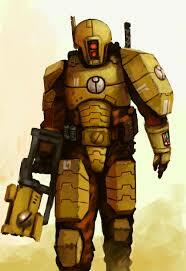 The ship was undercoated Tau Sept Ochre, before being lightly washed with Gryphonne Sepia. I then used the same Black, White, and Scorpion Green spot colours in order to tie the ship in with the rest of the fleet and to pick out some of the details like the Tau symbol and the turrets. Again the light on the above photo seems to have made the imperfections more noticeable, but I am relatively happy with the way the ship has turned out. In game I plan to run the Emissary as the “Il Porrui Sa’cea” configuration as I only have two Orcas and have no need for the gravitic hooks the other configurations come with. This load out has 3 weapons battery firepower at 45cm and one 30cm lance to each side, both of which can be combined in the front arc as well. That gives it FP6 and 2 lances in the front arc which isn’t too bad, plus it has 3 torpedoes and an optional 6+ prow armour. They are rather brittle at only 4DC and 1 shield and need to be kept protected. 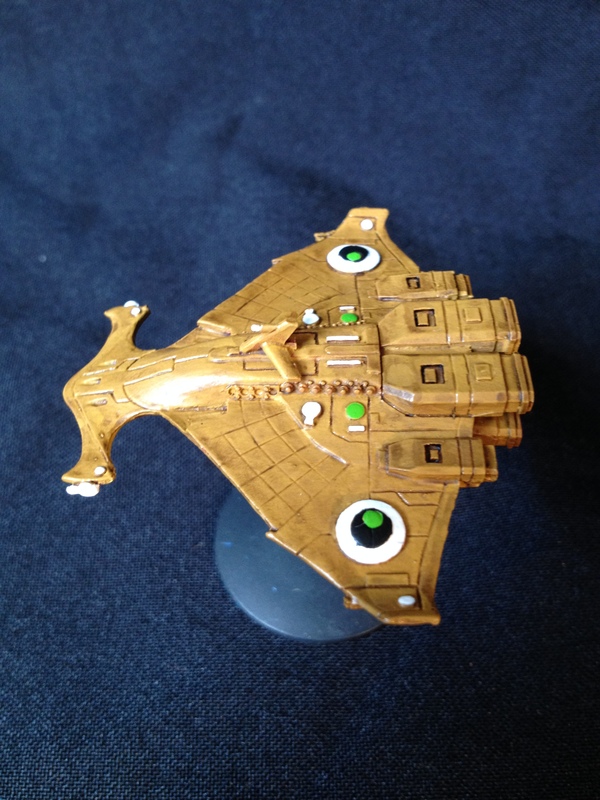 Next up will be some Bastion and Stronghold Class Demiurge ships, before some fleet pics! These guys are lovely Gus. Thank you very much for your comment, I am really pleased with how they are shaping up. The pictures really do bring out the worst in the wash tho….